MOSCOW (Sputnik) - Marine Le Pen, the leader of the French right-wing National Rally (RN) political party, said on Monday, commenting on the current diplomatic row between Paris and Rome, that French President Emmanuel Macron is using diplomacy as the means to achieve political ends, pushing the two countries into crisis. "I believe that there is a political use of Emmanuel Macron's very worrying diplomacy, putting our two countries at risk of crisis," Le Pen told the France Inter radio station. The politician also ironically commented on the French president's reaction toward Di Maio's meeting with anti-government protesters in France. 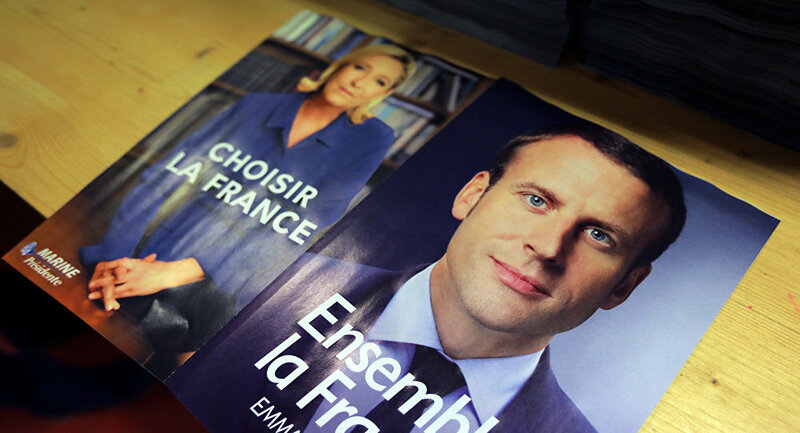 "Emmanuel Macron, who wants the disappearance of borders, who has supported the idea of transnational lists, is scandalized by an Italian activist coming to talk to demonstrators in France," Le Pen stressed. The comment was made after on February 7, Paris summoned its ambassador in Italy for consultations citing Rome's "repeated accusations" and "unfounded attacks." The move came after Italian Deputy Prime Minister Luigi Di Maio had met with the leaders of France's yellow vest protest movement last week. Following the decision of France to recall its ambassador, Italian Deputy Prime Minister Matteo Salvini said he was ready to meet with Macron and French government officials. French government spokesman Benjamin Griveaux said, commenting on Salvini's remarks, that dialogue between French and Italian ministers "had never been disrupted," stressing that Macron's contact in Italy was Italian Prime Minister Giuseppe Conte.